Glenwood, AL (August 8, 2018) – Pursuit Channel has announced a new, long-term agreement with Cox Communications, a cable-television icon based in Atlanta Georgia, which provides TV, internet, digital telephone, home security and tech solutions to millions of its residential customers. The Pursuit Channel lineup includes: Final Descent Outdoors, Hank Parker’s Flesh & Blood; Doug Koenig’s Championship Season; Gus Congemi’s Live the Wildlife; Carnivore; Just Killin’ Time; Jimmy Houston Outdoors; Brush Country Monsters, DSC’s Trailing the Hunter’s Moon; Ducks Unlimited Television; Deer and Deer Hunting, Destination Whitetail, Land of Whitetails; Modern Shooter; Long Range Pursuit; Jimmy Outdoors; Road Trip Masters; The Way It Was; The Outdoor Option; Canadian Whitetail TV; Drake’s Migration Nation; The High Road with Keith Warren; Americana Outdoors; Deer Gear TV; Yamaha’s Whitetail Diaries; The Bear Whisperer; Cabela’s Fisherman’s Handbook; Ranger Boats’ IFA Redfish Tour; the Collegiate Bass Series and Texas Team Trail; Turkey Call and Save the Habitat. Save the Hunt. ; Final Draw; GAMEKEEPERS of Mossy Oak and Mossy Oak Country Roots; Wallhanger TV; Winchester and Drury’s Natural Born; American Airgunner; Freedom Fighters; Elusive Wildlife; Professional Shooting Clay Association; Pulse Factor; Trapping Time; Louisiana Outdoor Adventures TV; The Opener; Team 200; Majesty Outdoors; Trophy Taker Outdoors; Hunting with HECS; Passin’ It Outdoors; Reaper Outdoors; The American Way; Love of the Hunt; Ozonics; Blue Collar Adventures; Shoot Straight with Chad Shearer; Open Season; The Best of the West; On the Water with Hank Parker; Ultimate Outdoors with Wayne Pearson; Sporting Dog Adventures; Martin Archery Outdoor Adventures; Struttin’ Bucks; Bearded Buck; Majesty Outdoors; Jason Peterson into the Wild; Spiritual Adventures with Jimmy Sites; Exit Wound TV; Trigger Time; Where in the World is Colorado Buck; Higdon Outdoors TV; Elusive Wildlife; The Grind Waterfowl TV; Trophy Hunter TV; Trophy Room Adventures; Created Outdoors; Greenway Outdoors; Vertical Crossbow Junkies; Maximum Outdoors and Blue Collar Adventures. Cox Communications is a broadband communications and entertainment company, providing advanced digital video, internet, telephone and home security and automation services over its own nationwide IP network. The third-largest U.S. cable company, Cox serves approximately 6 million residences and businesses. Cox Business is a facilities-based provider of voice, video and data solutions for commercial customers; Cox Media is a full-service provider of national and local cable spot and digital media advertising. For eight years, Cox has been recognized as the top operator for women by Women in Cable Telecommunications; Cox has ranked among DiversityInc’s Top 50 Companies for diversity 13 times. 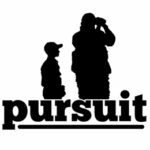 Pursuit Channel, www.pursuitchannel.com, a leader in high-definition delivery, is active on DIRECTV HD (604 PRST), AT&T HD (1644), DISH Network (393 PRST), Fios by Verizon (818) and Centurylink Prism (1677) and Cox (check local listings).